Rubyos pre-show dinner is available between 5.30 pm and 7.00 pm from Tuesday to Saturday. Only $40 per person which includes 5 course grazing meal with a glass of house wine…. for group of 2 guests or more. Haven’t yet locked down plans for Father's Day? 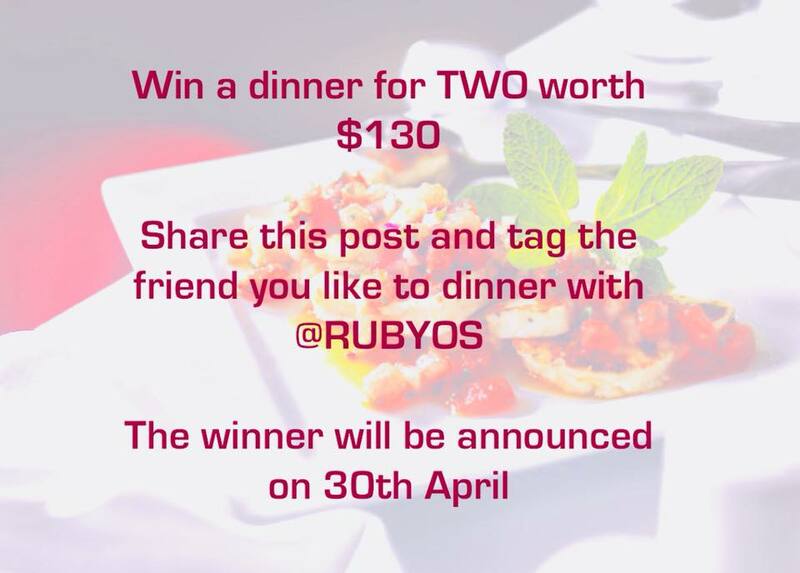 Give us a quick buzz on 02 9557 2669 or shoot through an email to enquiries@rubyos.com.au to reserve your table. Jessica Kung is performing at Rubyos on Friday 3rd August 2018 from 7 pm - 9 pm. With Jessica Kung’s rich, beautiful and honest vocals, accompanied by the luscious inviting tones of Steve Crain on guitar, this duo will warm your heart and melt your winter blues. Playing everything from old jazz and Motown classics to new acoustic pop standards, the Jessica Kung Duo is the perfect way to start your weekend.